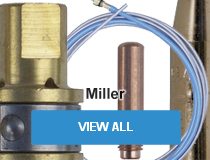 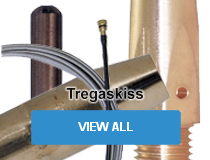 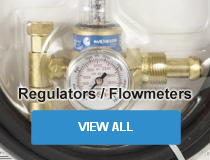 Look here for MATHESON Select® parts and consumables - nozzles, diffusers, liners, contact tips, insulators, retainers, shock washers - designed for full compatibility with your MIG equipment. 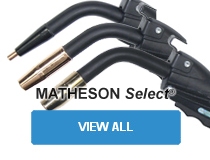 MATHESON Select® is our assurance - YOUR assurance - of quality, value, and safety built into everything carrying the MATHESON Select® Brand. 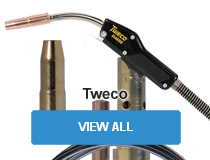 Complete MIG Gun packages are offered under MATHESON Select® and Tweco brands. 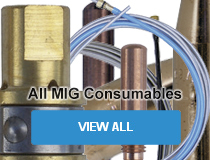 For MIG systems and wire feeders, see Welding Machines. 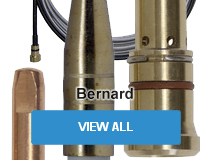 For the complete selection, used the buttons in the menu.